Your generator needs to exercise, just as we do, to perform at optimum levels! The question is, do you know how much exercise is best for your automatic standby or portable Generac generator? Fortunately, automatic standby generators are programmed to do their own “exercise” and maintain top operating condition. Most Generac generators operate for 12 minutes each week, except the 2015 and newer 16/20/22kW models operate for 5 minutes. All 2015 and newer models have a user selectable exercise cycle – weekly, bi-weekly or monthly. Which days are best to exercise my automatic standby generator? We recommend generator owners schedule the exercise for a time when they are at home, allowing them to witness the operation of their generator and gain peace of mind. From a practical standpoint, it is best to schedule the exercise time on Sunday through Thursday. In the event the generator needs service, it can be performed the following workday, without incurring overtime charges on a Saturday or Sunday. What if I have a Generac portable generator? Portable generator owners should manually operate their generator each season, to maintain their generator in top operating condition. Generac recommends draining the fuel from the tank and running the carburetor dry. As an alternative, you can add a fuel stabilizer to prevent stale fuel issues. 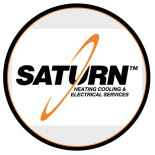 Contact Saturn Heating Cooling & Electrical at 630-980-0300 for service and maintenance of your Generac generator.